Aug. 30, 2018	Bangladesh	12 Min. Mon Diya Tor Mon Pailam Na (Short Film).. Directed By Eagle Team .. Cast: Nipa Ahmed Realy, Niloy Khan & Mishu Morshed.. Cinematography: Johir Rayhan.. 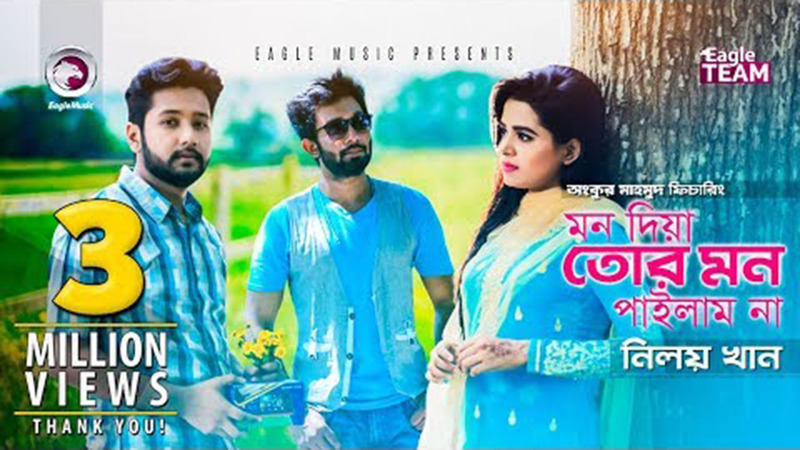 Editing & Color Grading: Shamim Hossain.. Background Score: Ankur Mahamud.. Voice Acting: Sarowar Shuvo, Nishu Shikder.. Song: Mon Diya Tor Mon Pailam Na.. Singer: Niloy Khan.. Music: Ankur Mahamud..